IOS 9 Homescreen On The White Apple IPhone 5s Display In Female.. Stock Photo, Picture And Royalty Free Image. Image 43260262. 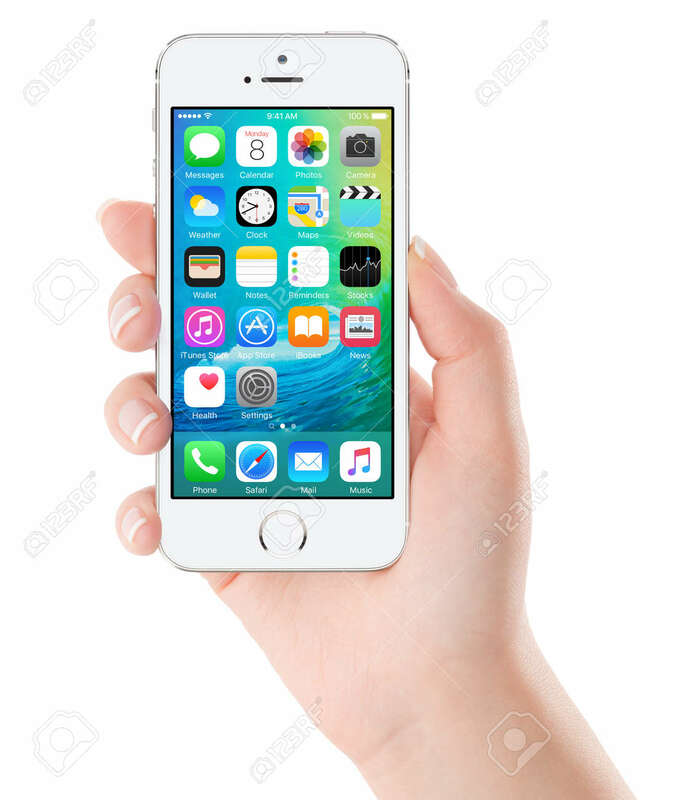 Stock Photo - iOS 9 homescreen on the white Apple iPhone 5s display in female hand. iOS 9 is a mobile operating system created and developed by Apple Inc. Isolated on white background. Bulgaria - February 02, 2015.
iOS 9 homescreen on the white Apple iPhone 5s display in female hand. iOS 9 is a mobile operating system created and developed by Apple Inc. Isolated on white background. Bulgaria - February 02, 2015.